A shapely board, based on the Pizza shovel. 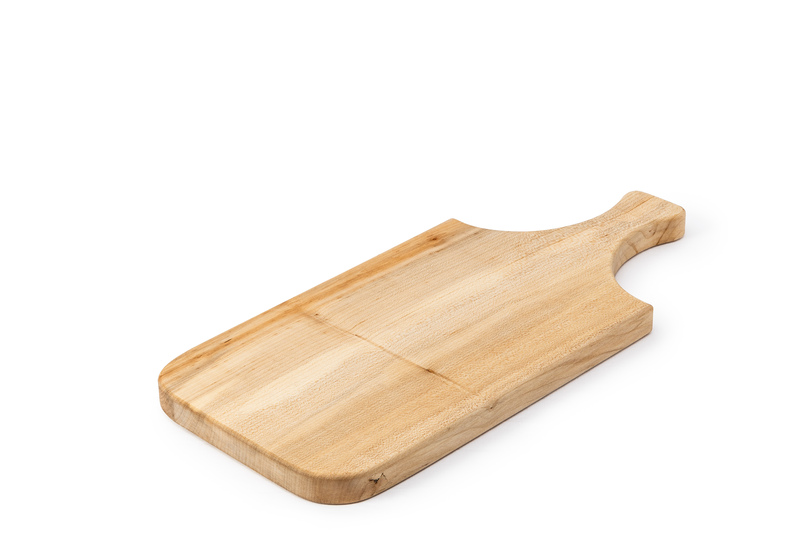 This board is practical with its own handle allowing for ease when picking up or holding while serving. Click on thumbnail image too see how this board looks size-wise in relation to smaller Shovel family members! 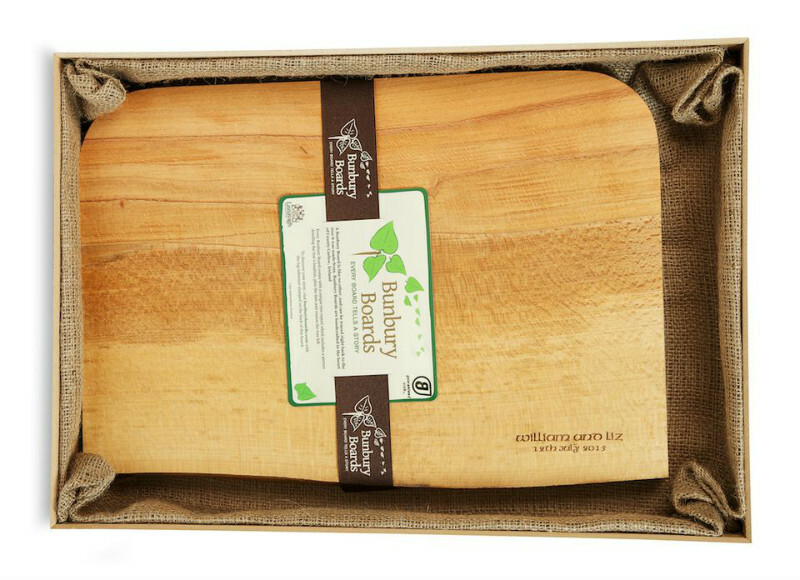 The Shovel Large Bunbury Boards make great Wedding Gifts. All of our Bunbury Boards can be personalised with the names of the Bride and Groom, date of the wedding and a special message for the Bride and Groom. The Bunbury Boards range provides the perfect selection of Personalised Wedding Gifts. 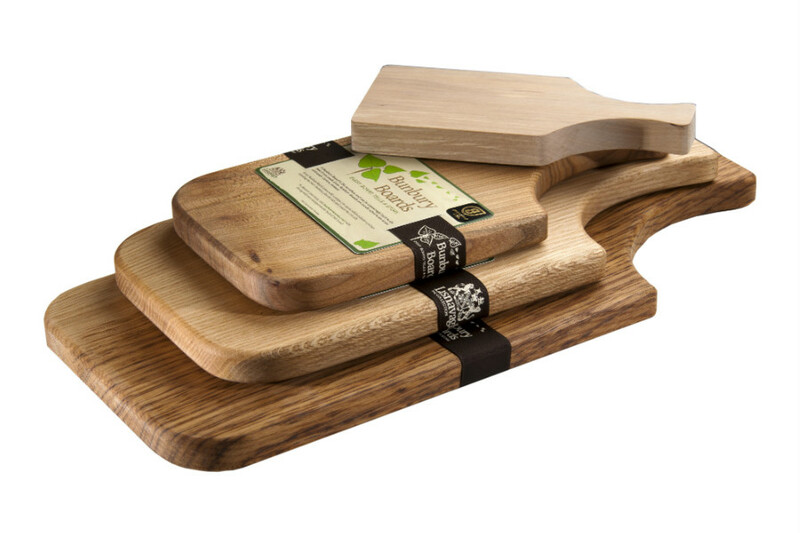 This board is practical with its own handle allowing for ease when picking up or holding while serving. The handle is designed to sit nicely into the hand, whilst the main body of the board leaves plenty of room for cheeses, pizza or bread or charcuterie. Straight sides with heavily rounded corners.